I’m over here day-dreaming about summer vacation between clients and kids and winter getaways. What about you? 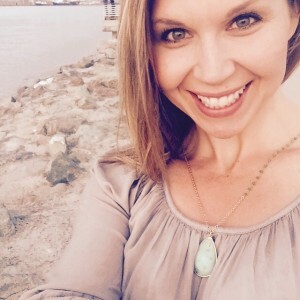 Are you one of those people who loves the chilly weather, boots, endless bowls of soup, and spends the weekends baking goodies and watching football? I DO love those parts of winter, but I’m only really into it for the first couple snowstorms we get. After that, it’s time to break the swimsuits and farmer’s markets back out in my opinion. But enough about me. 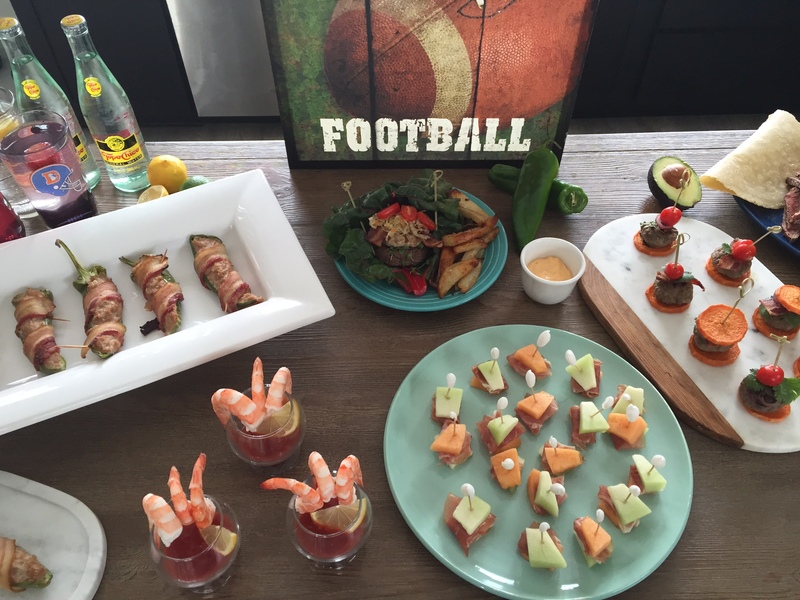 Who’s ready for some Super Bowl 50 fun?! 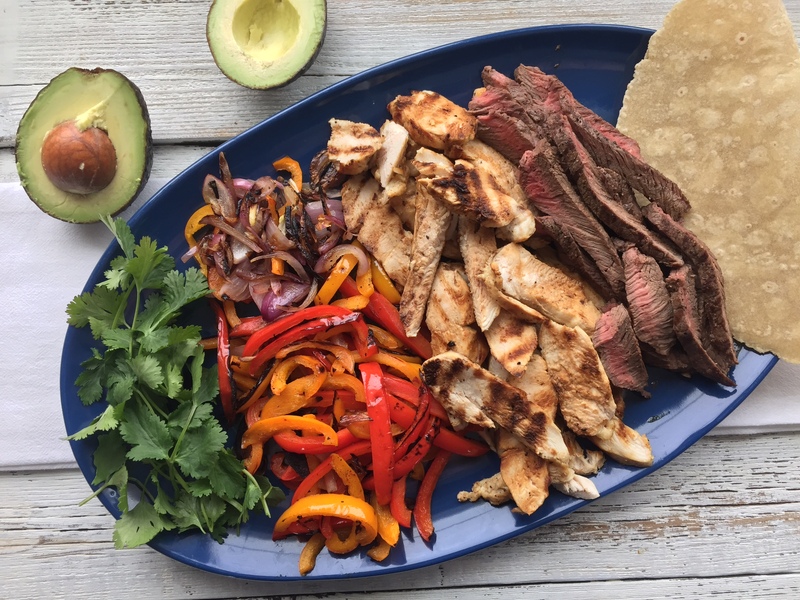 Whether you’re hosting a party this year or bringing a dish to a friend’s house, we’ve got you covered with healthy menu ideas to please the palette and keep you on track with your health and fitness goals. 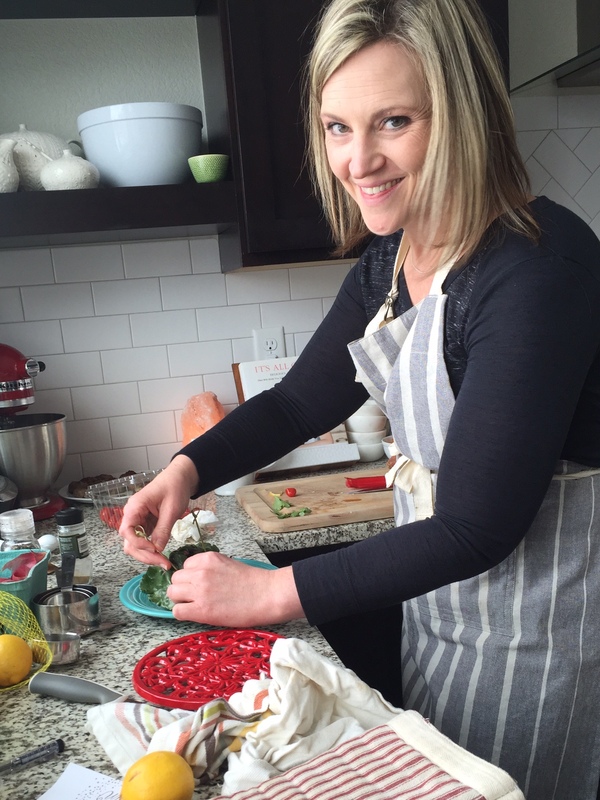 I teamed up with a fellow real-food foodie and CrossFit enthusiast, Charlene Fudge, to bring you easy, colorful, healthy ideas for the big day. 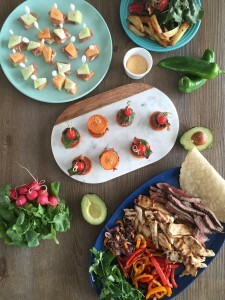 We spent the day in the Whole Nourished Life kitchen laughing, cooking, and shooting these easy recipes you’re sure to love. 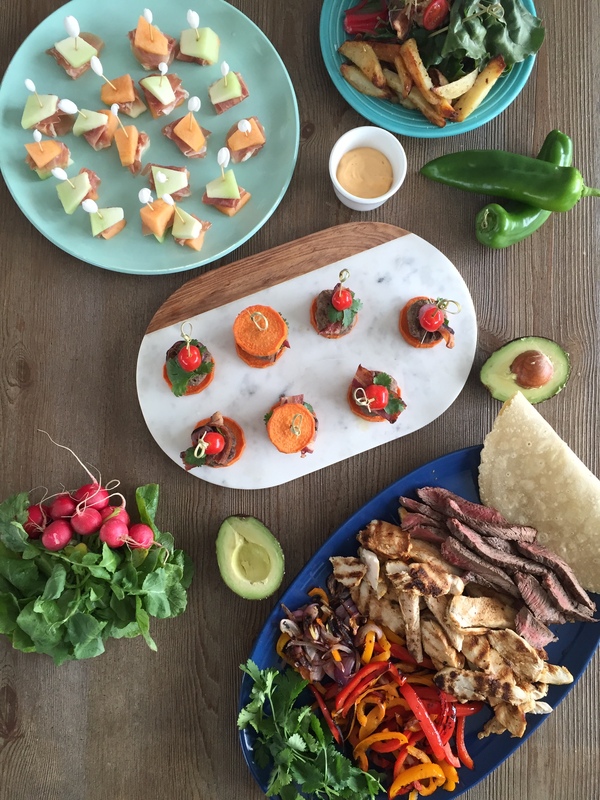 Make them all for an appetizer extravaganza, pick your favorite for game day, or serve the fajitas for a simple one-dish theme. Enjoy! Cut 1 sweet potato into discs, place on a parchment-lined baking sheet, and roast in a 350 degree oven for 20-25 minutes. 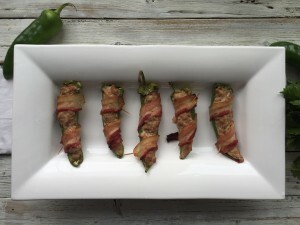 At the same time, place bacon on a lined baking sheet and bake till slightly crispy. 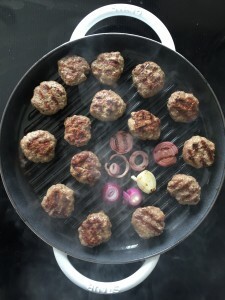 Grill mini burgers and onions over medium heat in a grill pan, on the grill, or in a cast-iron skillet, being careful not to overcook. 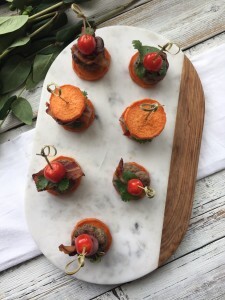 Remove sweet potatoes and bacon from oven and stack all ingredients in layers with desired toppings, holding it all together with a skewer or party toothpick. 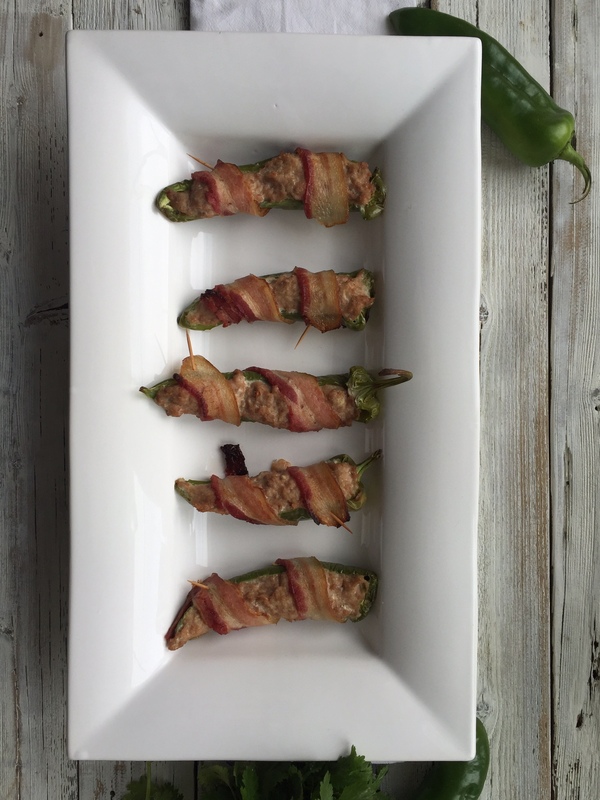 Plate and serve immediately, or keep warm in oven on low heat until kickoff. Combine ground turkey, salt, garlic, and onion, mixing well. 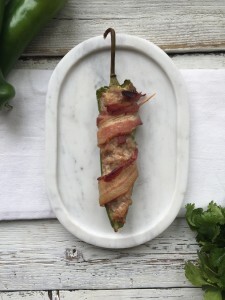 Scoop mixture into the inside of the poblano peppers, and wrap one slice of bacon around each pepper. Place on baking sheet, and bake for 30 minutes. 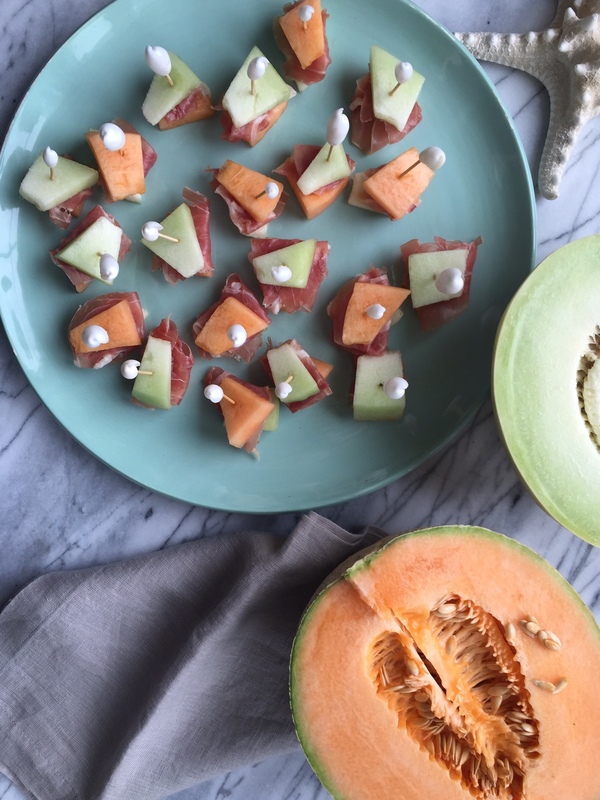 Slice melon into 1 inch cubes. 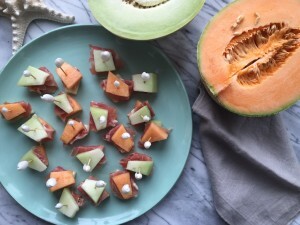 Place half a slice of prosciutto between a piece of each type of melon and secure with a toothpick. Serve and enjoy. Rub sirloin generously with sea salt and fresh pepper and place on grill until the outside is seared and the inside is still pink. Remove from heat and allow it to sit. Grill marinated chicken until cooked through along with the sliced bell peppers and onions. Slice meats into long strips and arrange on large platter with peppers, fresh cilantro, sliced avocados or guacamole, and tortillas of choice or lettuce wraps. 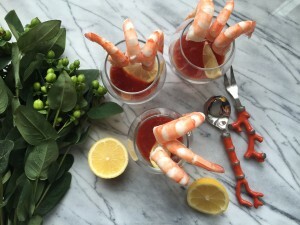 For great presentation, place a generous serving of cocktail sauce in the bottom of your favorite pretty glasses, along with a lemon and a sprig of fresh parsley. 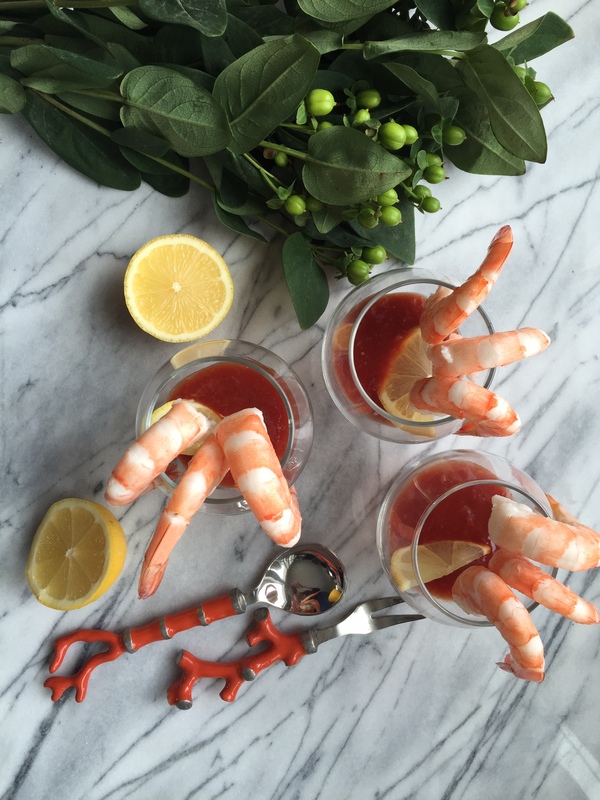 Arrange shrimp around the top of the glass and set several glasses on a serving tray. 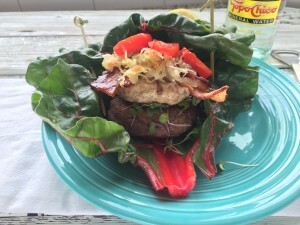 Grill burgers and layer toppings on a large piece of chard (it holds together better than lettuce wraps). 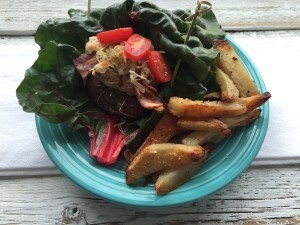 Serve with homemade fries tossed in Fatworks lard and roasted in a 425 degree oven for 20-25 minutes or until golden brown. Combine melted ghee and Flavorgod seasonings in a large ziplock bag. Add chicken to the bag, seal it, and coat the chicken with the seasoned ghee. Place in the refrigerator to marinate for 2 hours. 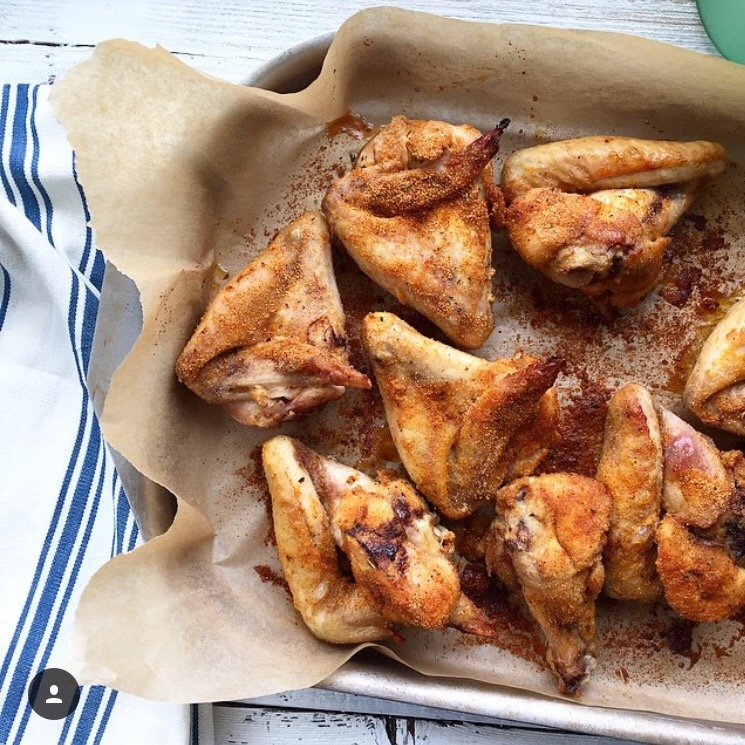 Spread the wings evenly on the baking sheet, and place it in the oven for about 30 minutes. 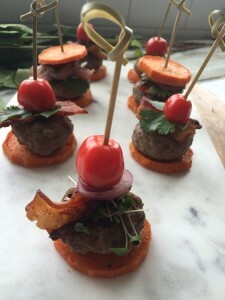 If you’re wanting to enjoy a little something but not have any beer, wine, or cocktails during your Super Bowl party, we’ve got you covered there. 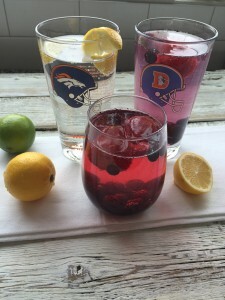 Try out a GT’s Kombucha Mojito-flavored kombucha or a Gingerberry kombucha, a Topochico Mineral Water, or try one of these easy sparkling waters with a twist. Simply add organic frozen strawberries and blueberries or fresh lemon and lime to your favorite sparkling water. Putting it in a fancy glass or your favorite team glass adds to the charm. A special thank you to my sister-in-law Charlene Fudge for working hard on this beautiful menu and spending the day in the Whole Nourished Life kitchen cooking and entertaining me while I had fun behind the camera for this project! 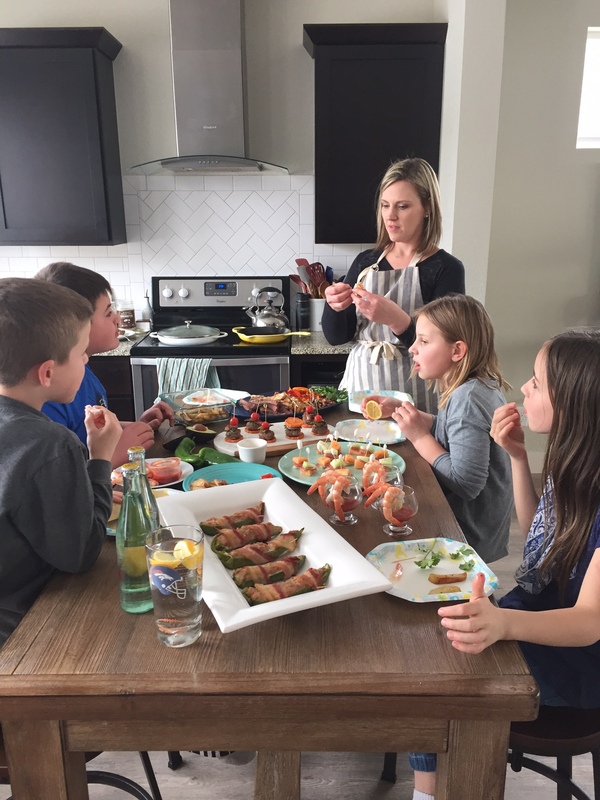 And a thank you to our kids who were taste-testers for the day while school was out. We’ll be making some of these delicious dishes for our own Super Bowl parties while we root for the Broncos here in Colorado! For more great ideas and to keep up with the latest from Whole Nourished life, follow @wholenourishedlife on Instagram and Facebook. Your Super Bowl menu looks fantastic! I’m definitely trying some of these. Thanks!